Saturday was my 2nd son's 9th birthday party. The theme? Ancient Egypt. A very difficult theme to find things for. They made double crowns, wrapped each other in toilet paper (too bad I couldn't recycle it! ), jumped over the crocodile-infested waters of the Nile, stamped their names in hieroglyphics and generally ran amuck. The weather cooperated, providing us with a very desert-like, hot day. Notice the perfectly scaled model! What was left after the mummies escaped from their wrappings: poor tree! Sunday was nice and bright. Homemade cards and a homemade lunch from my children and husband. Lemon chicken with sundried tomatoes, asparagus and swiss chard. Yum. Double yum even though it took them twice as long to make it! At least I didn't have to cook or clean up. Here is the sneak peek present that I made in time for my mom: washcloths. I used this very simple and easy pattern. I think I may make a few more, varying the stitch and colors. If you're looking for other free patterns, I found a gold mine here and here. Haven't checked out all the links, so peruse at your own risk. The loose knitter strikes again. I learned to knit the continental aka German way. And with holding the long needle beneath my left armpit so that it's relatively immobile. Although for me this is a very fast method, I guess I'm learning that my knitting tension is very loose and sometimes results in redos. The first attempt at the washcloths (not shown) was unraveled, the recommended needles quickly exchanged for 1 whole size smaller. The cloths still ended up a bit loose, but oh well. They'll do the job. Last week was super busy: getting car fixed, having piano tuned, going on another field trip and finishing our homeschool co-op. My 2 younger ones performed some tricks for their final clowning class. (Very fun!) It was nice to be involved with other homeschoolers, but we (I) confess that we're glad to have some slowness in our life again...a little tranquility before another round of busyness begins, and we become like dancing bees or perhaps like this fluttering butterfly. I ran to get my camera to take a photo, but I think the fellow was a little camera shy. Each time I went outside to capture his image, he flew away. I'd go back inside, and he'd reappear on the screen. After several times of this, I had to be content with snapping his picture from inside my house. At least you can see the light through his wings. I did manage to squeeze in some time for a tiered skirt for my daughter (half-way done) and this for a Mother's Day present. Very soft cotton chenille. Now all I have to do is wrap it up and send it off in time. I can't tell you exactly what it is yet because someone might see! A gray-day field trip to a local tv station. 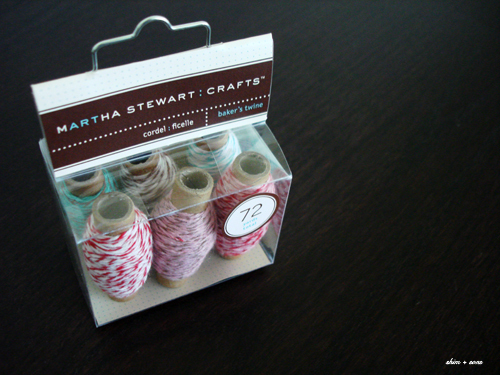 Thanks to Amy's post about Martha's stuff at Michael's, there now will be something of interest to take me there. Oh, and I bought some of this too. Didn't realize it was so popular.